When you meet a new person, you may wonder whether he or she notices your smile flaws. Unfortunately, according to some recent surveys taken, they probably do. The data shows that many people will actually notice the condition of your teeth before anything else. Finding the right cosmetic dentist in Farmington, though, will ensure that all of your imperfections can be safely and effectively addressed, leaving you to smile with confidence. Read on to learn some simple steps for identifying the right professional to meet all your needs. 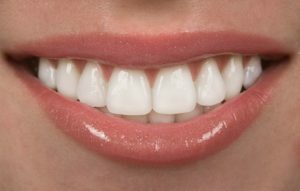 Cosmetic dentistry is a unique branch of dentistry that offers patients the ability to improve the aesthetics of their smile, and in some cases, also the function of their teeth. There are several modalities that fall under this umbrella of care, but their effectiveness depends greatly on the skills of the cosmetic dentist performing any of the procedures. The vetting process may seem a little daunting, but there are some steps you can take to highlight the right professional. Is he or she willing to answer your questions? Do the two of you have any chemistry, so you’ll feel comfortable visiting for care? One of the more telling ways to evaluate the type of care the dentist provides is to review the results of previous patients. Seeing someone else’s transformation is a great indicator of what you can expect for yourself. You’ll also want to take into account the cosmetic dentist’s experience. How long has he or she been practicing? Have they treated others with similar needs as yours successfully? Furthermore, an experienced dentist will be able to adjust to unforeseen situations that may arise and effectively deliver care. Finally, take a moment to read the online reviews. The words of happy patients are just as telling as the before-and-after photos. Furthermore, online reviews are great for helping you feel more comfortable about working with a new cosmetic dentist. Feeling good about the way you look is essential to your overall health. It helps your body produce more “happy” hormones like endorphins, dopamine and serotonin and they, then, create a healthier environment inside your body. By following the above tips, you can successfully complete your search for a new dentist in Farmington! A graduate of Baylor College of Dentistry, Dr. James Cole is a passionate dentist who remains driven to continue to grow, which is why he maintains membership in the American College of Dentists and other prestigious organizations. He helps patients smile with confidence with cosmetic dentistry at Integrity Dental and can be reached for more information through his website.